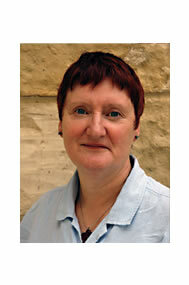 Jan Dean is best known for her poems “which don’t leave children out”. Her work appears in over a hundred anthologies and she has two full collections, Nearly 13 (Blackie) and Wallpapering the Cat (Macmillan), which was shortlisted for the CLPE prize. Her most recent collection, The Penguin in Lost Property, (Macmillan) is a collaboration with the poet Roger Stevens. She also recently collaborated with artist Caroline Lea on themes of identity, memory and loss, which led to a group of poems for adults – Lullabies for the Dead – produced as a handmade book as part of Caroline’s 3D installation and exhibition of prints. Originally from the NorthWest of England, Jan now lives in East Devon. I started to write poems as a student and I went on an Arvon Foundation course in its very early days in the 1970s. My first break was getting a pamphlet with Rivelin. I’d been in some small press magazines and was doing the rounds of submissions, but at the same time I was writing poems that don’t leave children out and I was having success there. Around this time I began to run workshops for teachers and do school visits – this was the start of my work as a poet-in-schools. For all sorts of reasons I chose to concentrate on this strand of my writing and stepped back from the world of grown-up poetry – or as I like to call it, poetry that children would have very little interest in. My two latest projects are poles apart. I’ve been collaborating with a visual artist, Caroline Lea, on an exhibition exploring identity, memory and loss. It’s called Tree Round A Rock and involves an installation, etchings and 3D pieces alongside a handmade book of poems called Lullabies for the Dead. The collaboration was a wonderful experience which we intend to repeat. 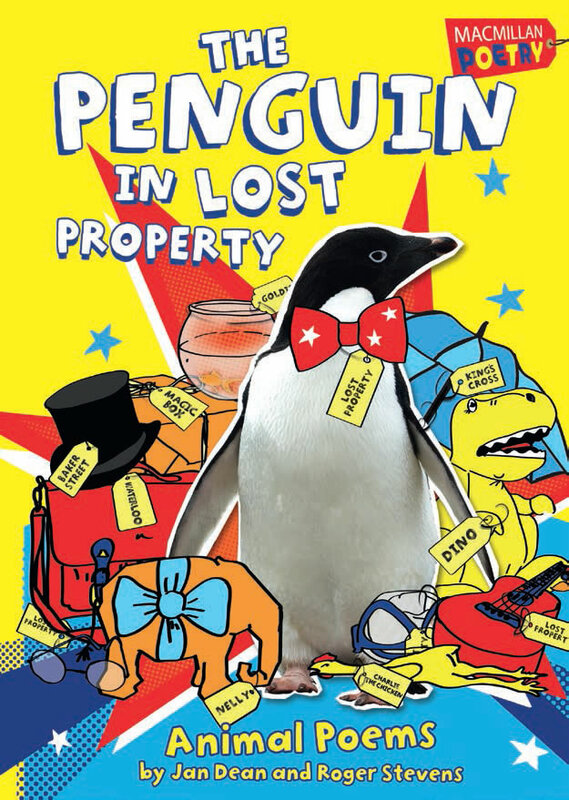 The other strand of my writing was also a collaboration; The Penguin In Lost Property (Macmillan) is a collection of animal poems written with my fellow poet, Roger Stevens. Roger is also a poet-in-schools and runs the award-winning website Poetry Zone. I’ve just moved house so my small chaotic office is now much tidier because most of it is in store while we renovate. I’m currently writing in a corner of a bedroom at a too-small desk whilst sitting on a chair that isn’t high enough. I’m like a toddler at a dining table surrounded by piles of clean laundry because the cupboards aren’t sorted out yet. A typical day involves writing from about 10.00am through till 2.00pm. But I haven’t had a typical day for a while. Again, there are two strands to this: writing to a brief, which I enjoy – this is the norm for children’s anthologies, which are usually themed and age-specific – and exploring my own responses to what’s going on around me. I write quickly, drafting and redrafting intensively before putting work away to prove like bread dough. I always read work aloud as part of sorting it out – that’s vital. I used to belong to a great crit group which was very helpful with the grown-up stuff, but the move has kiboshed that for the time being. When I was working on The Penguin In Lost Property, Roger and I emailed drafts of poems backwards and forwards at a rate of knots, critting each other’s work to speed up the process of revision. I love the energy that creates. There was a specific thing when I was a student – phrases describing an incident that kept looping in my head, like a verbal earworm. In an effort to shut them up I wrote them down, then realised I’d written a poem. Once I’d started, that was it; I never stopped. And I’ve honed my skills. There’s delight in exercising a gift – even though there’s hard work to be done. When it works, it’s a high. Children ask this all the time. Everything inspires me. There’s nothing that doesn’t trigger a response. The rigmarole of submissions etc. in the world of grown-up poetry is daunting and time-consuming and energy-sapping. I don’t send enough stuff away because it’s like climbing a mountain. I’d like to take Tree Round A Rock to a couple more venues and I definitely want to collaborate with Caroline again. Working with artists from other disciplines is very stimulating and rewarding. Stevie Smith, Emily Dickinson, Dorothy Nimmo, Caroline Bird, Margaret Atwood. And I love Ann Cleeve’s storytelling – superb.